Taxpayers with tax liens on credit reports should take advantage of the IRS’ Fresh Start Program. Under the Fresh Start program the IRS will withdraw the lien if you pay in full or enroll in an installment plan and pay 3 consecutive payments. Since the implementation of the “Fresh Start Initiative” the Taxpayer Advocate reports thousands of struggling taxpayers have successfully obtained lien withdrawals to help regain their financial viability. 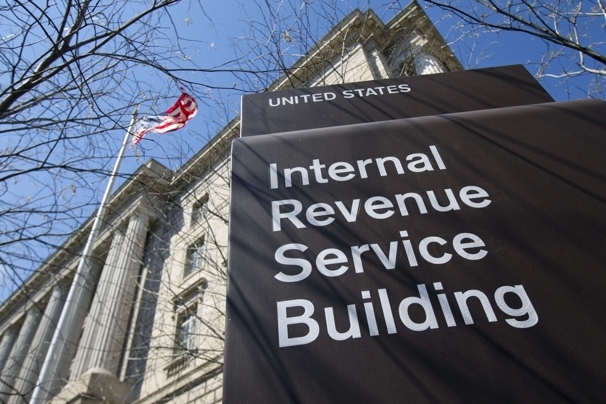 If the taxpayer pays their lien in full, the IRS will withdraw the lien. Normally an unpaid tax lien can remain in a consumer’s credit file indefinitely and a paid tax lien can remain in a credit file for 7 years although it would show as released. And, even if you have not paid the IRS in full, you may be able to qualify for the program if you currently owe up to $50,000 or more and have entered into a direct debit installment agreement where IRS payments are automatically withdrawn from your bank account. Other requirements to qualify include having made at least three direct debit installment payments successfully and that you have not defaulted on a previous installment agreement. Taxpayers need to provide a financial statement to the IRS and negotiate an agreement if they owe $50,000 or more in back taxes. In the past it had been very difficult for delinquent taxpayers to get an IRS lien withdrawn. Now, taxpayers have an opportunity to restore their credit as a tax lien withdrawal will be treated as if it were never issued. Prior to the new policies when a consumer paid tax liens, the IRS would release the lien but the negative mark would continue to report in a consumer’s credit file for 7 years. Installment Agreement. The Fresh Start Installment Agreement gives taxpayers an opportunity to pay delinquent taxes. An installment agreement can be arranged even if they have a tax debt of $50,000 or more (vs. the previous threshold of $25,000). Enrollment in a direct debit installment agreement where monthly payments to the IRS are automatically withdrawn from the taxpayer’s bank account is required. The timeline for paying taxes owed under an installment agreement has been increased from 60 months to 72 months. Offer in Compromise. The IRS is now more flexible in allowing tax debt reduction if they see that the taxpayer cannot afford to pay the full tax debt. Taxpayers with financial difficulties can benefit from changes the IRS has made to the Offer in Compromise. Federal Tax Lien. Under the Fresh Start initiative, the IRS has made it easier for taxpayers to get the Notice of Federal Tax Lien removed. You have paid all your estimated tax payments and federal tax deposits. Under the Fresh Start initiative, you can also get the Notice of Federal Tax Lien withdrawn if you have converted your regular Installment Agreement to a Direct Debit Installment Agreement. Taxpayers currently enrolled in a standard installment plan can switch to a debit installment agreement to take advantage of the new policy; and, taxpayers currently enrolled in a direct debit agreement can request a lien withdrawal. A probationary period of making debit payments is required before the IRS will lift a lien. Under the new Fresh Start provisions certain taxpayers who have been unemployed for 30 days or longer will be able to avoid failure-to-pay penalties. If you believe you qualify the IRS has a one-page form you need to complete. The form is called Application for Withdrawal, Form 12277. Once completed send it to the IRS per their instructions. If the IRS approves your request, it says it “will file Form 10916(c), Withdrawal of Filed Notice of Federal Tax Lien, in the recording office where the original tax lien was filed and provide you a copy of the document for your records. Thousands of taxpayers have benefited from the program but there are many more who may not be aware of the Fresh Start Initiative program. It seems to be a great incentive for consumers engaging in credit repair. Barring other significant derogatory items, having a tax lien removed will boost credit scores.